The former WPP boss (pictured, above) said in an interview with Campaign that Read should run WPP as "a twosome" with Andrew Scott, the chief operating officer, even though the company has put Read in sole charge as chief executive. 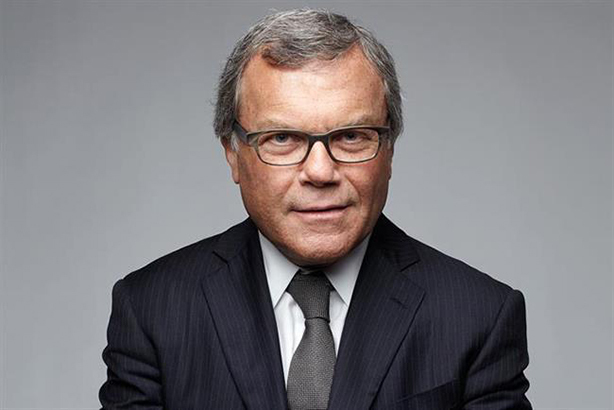 Sorrell, who abruptly departed in April after 32 years as chief executive, knows Read and Scott well because they worked for him for years at WPP. The company had a long-standing plan to install Read and Scott as company leaders in the event of an emergency succession and that kicked in when Sorrell faced an investigation into allegations of personal misconduct which he denied. Read and Scott became joint chief operating officers in April while Roberto Quarta, the chairman, conducted a search for Sorrell’s replacement. When Read was announced today as chief executive and Scott was confirmed as chief operating officer on a permanent basis, Sorrell says: "I wrote to both Mark and Andrew last night, congratulating them and making a few observations. "I think they can be very successful but it’s essential they are a twosome. "Ironically, it's taken exactly five months to get to the same position as was agreed on 3 April, before the leak [of the investigation into Sorrell’s personal conduct] to the Wall Street Journal," he said, referring to how Read and Scott were lined up as interim leaders of WPP at that time. "The last five months have been a complete waste of time, particularly when our biggest client [Ford] is in review." A spokesman for WPP declined to comment on Sorrell's claims. It emerged last week that Ford has given some of its creative work to independent agency Wieden & Kennedy this autumn, but the car giant’s wider review is ongoing. WPP appointed headhunters Russell Reynolds, the same company that Quarta used for a similar search at Smith & Nephew, to find Sorrell’s successor. Quarta said in an earlier interview with Campaign that WPP had "plenty" of external candidates interested in the role. It is not the first time that Sorrell has criticised WPP since he left. He has complained about the leak about the investigation into his personal conduct and expressed regret that non-executive director Hugo Shong has left the company. He also suggested at Cannes Lions that Read and Scott should run WPP as a duo. In his earlier interview, Quarta said of Sorrell: "He’s entitled to say whatever he wants to say. I really can’t comment on it. People will have to judge what he says and the content that’s being said. We’re moving on with the company and that’s all I can say."